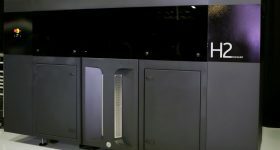 HP has announced a major new deal with a leading Chinese 3D printing company alongside news of rapid expansion in the Asia-Pacific region. Of today’s news, Stephen Nigro, President of 3D Printing, HP Inc. said “No region, has more opportunity in front of it than the nearly $6 trillion Asia-Pacific manufacturing sector.” The countries included in this group represent almost half of the total $12 trillion global manufacturing market. The news comes on the first day of Die & Mould China 2017 expo in Shanghai, China. 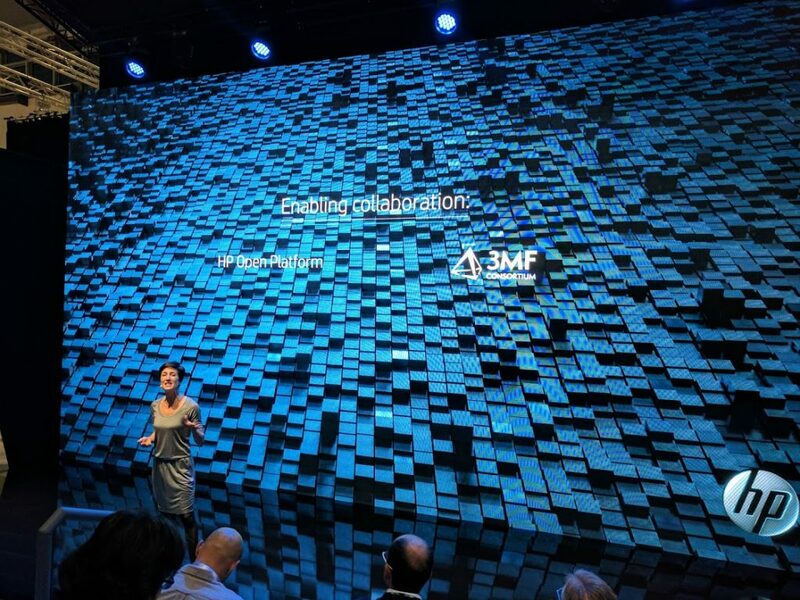 Highlights include the announcement a of deal to deploy over 50 HP Multi Jet Fusion 3D printers, a major new partner in the HP open materials ecosystem, rapid acceleration in the Asia-Pacific region through new resellers and many new 3D printing experience centers. End-use parts produced by the HP MJF 3D Printing System awaiting clean-up. Photo via Jabil. Shining 3D are well known to readers of 3D Printing Industry, recently we visited the Chinese company as they expand further into Europe. 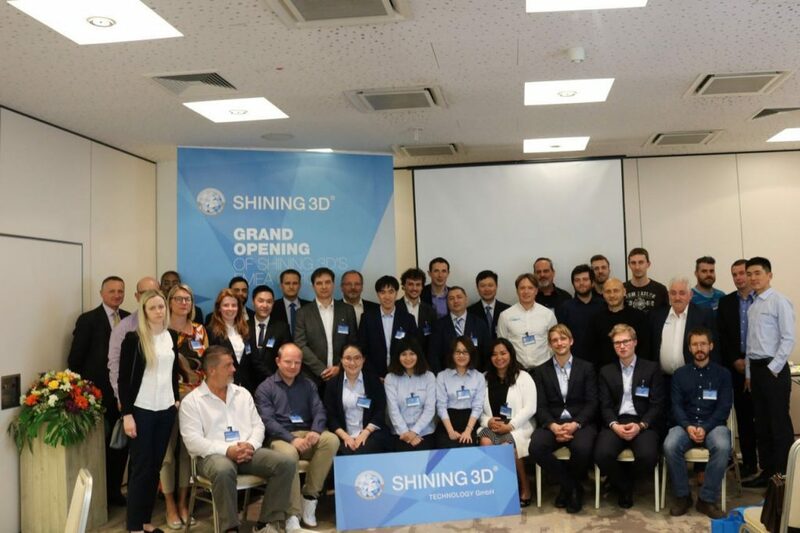 The deal announced by HP today will see Shining 3D ePrint deploy over 50 HP Multi Jet Fusion 3D printers at Shining 3D ePrint facilities including Beijing, Chengdu, Guangzhou, Nanjing, and Shanghai. 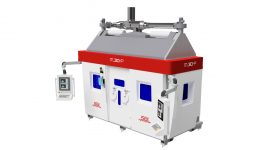 To date, this marks the largest sale announcement of the Multi Jet Fusion 3D printer. Given that Shining 3D has more than 10,000 customers worldwide and there is a substantial volume of manufacturing expertise located in China, this will be an unparalleled test of the Multi Jet Fusion platform. 3D Printing Industry are currently speaking with parties close to the deal to understand more about what this means for the companies involved and how the technology will be used in the wider Chinese industrial eco-system. We’ll bring you the latest news as we have it, subscribe to our newsletter to be the first with the details. Infinite 3D Printing are based in Qingdao China and are one of China’s largest 3D printing solutions providers. 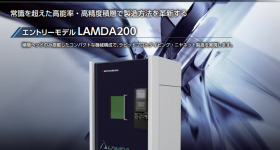 The company also plans to install Multi Jet Fusion 3D printing solutions in multiple technology centers across China. 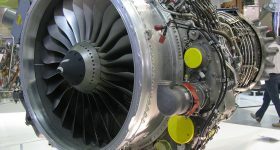 HP Multi Jet Fusion promises high reuse of materials. Photo by Michael Petch. 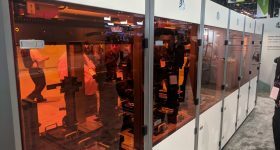 The rapid acceleration of HP in the 3D printing industry will undoubtedly draw comment from the more established market participants. HP, they say are 10 times faster than FDM technology. What’s the total cost of operation, if you need a 10-hour cool time? So, my view is at the end of the day, it has to produce a part which is functional, and the total cost of operation. The reason I’m showing that our SLS will be 20% lower total cost of operation than HP. If you look against FDM technology or MJF technology, would be 35% to 45% lower cost of operation than Stratasys. Undoubtedly one of key reasons HP is beginning to scale in such a dramatic manner is the promise of the open materials ecosystem. As 3D Printing Industry saw first hand, a cornerstone of the silicon valley company’s plans to be the “Apple of 3D printing” is working with over 50 material supply companies. HP has just announced the latest partner in this open materials ecosystem. Joining HP 3D printing material suppliers Arkema, BASF, Evonik, Henkel, and Lehmann & Voss will be Sinopec Yanshan Petrochemical Company. The Yanshan Company was founded in 1967 and processes over 10 million tons of crude oil. The company produces gasoline, diesel, aviation kerosene, lubricant base oil, paraffin and sulfur. The Yanshan Company is also engaged in the research and development of new types of synthetic rubber and has a synthetic resin output – including LDPE, HDPE, EVA, polypropylene and modified dedicated resins – of 1 million tons. 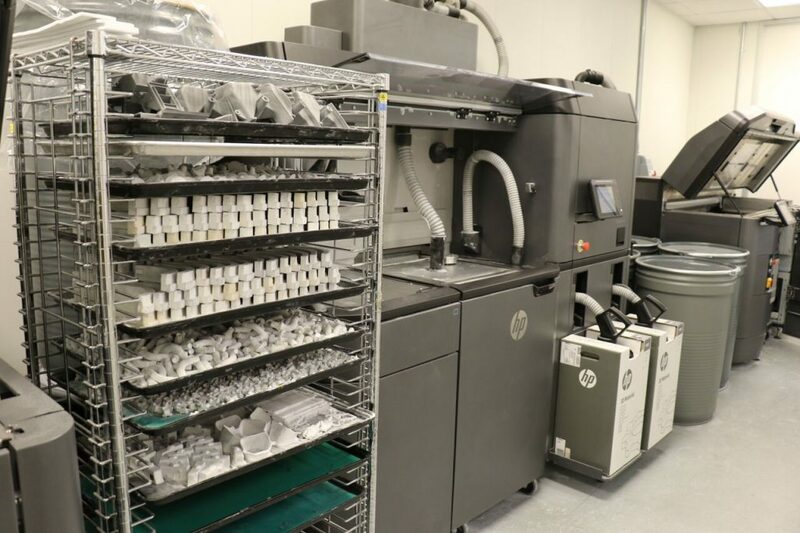 Continuing, the Vice President added, “HP’s open platform will help us and our global customers to collaborate and achieve a win-win.” Sinopec Yanshan are developing polyolefin-based powders for 3D printing on the HP Multi Jet Fusion. 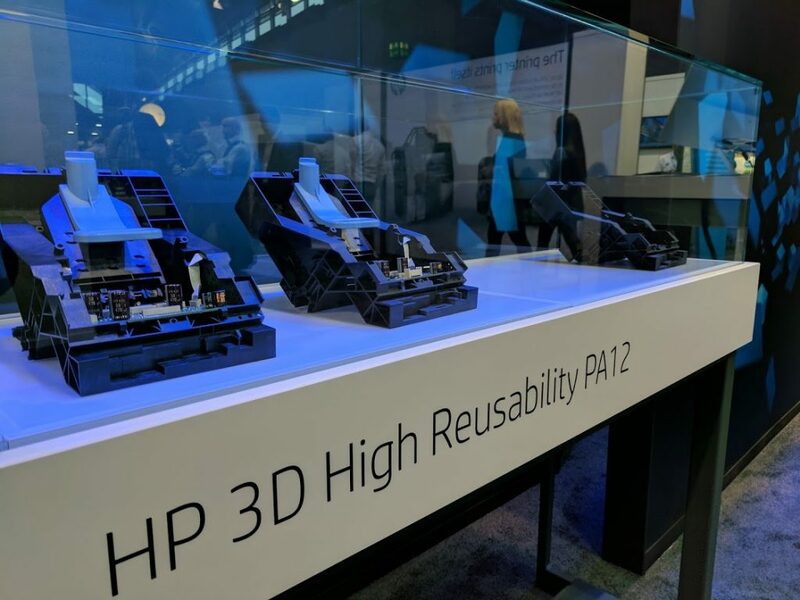 Beginning with Greater China, Japan, South Korea, Singapore, and Australia HP’s 3D printing solution will be available throughout the Asia-Pacific region. As in Europe and North America, HP’s 3D printers will be sold through a reseller network. 3D printing resellers announced today include Aurora, AM Korea, ECSS, evok3d, Eye2Eye, Infinite 3D Printing, FormX, Huxen, Hyunwoo Data, Shining 3D ePrint, Trustworthy, Wenpoo, and 3D Pro. 3D Printing Industry attended the opening of Shining3D’s new EMEA HQ. Concluding today’s announcements is the news that HP will open numerous 3D Printing Reference and Experience Centers in Beijing, Hangzhou, Qingdao, Shanghai, Suzhou, Taipei, Tokyo, Singapore, and Melbourne. 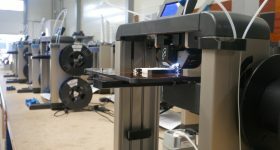 The centers are designed to facilitate testing and qualification of new 3D printing use-cases in controlled environments. 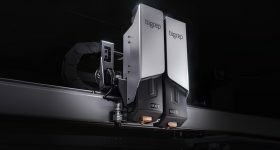 This will provide, “customers a simpler path to advance from prototyping to full scale 3D production.” As 3D Printing Industry previously reported, HP announced 15 such centers across Europe and North America in May 2017. 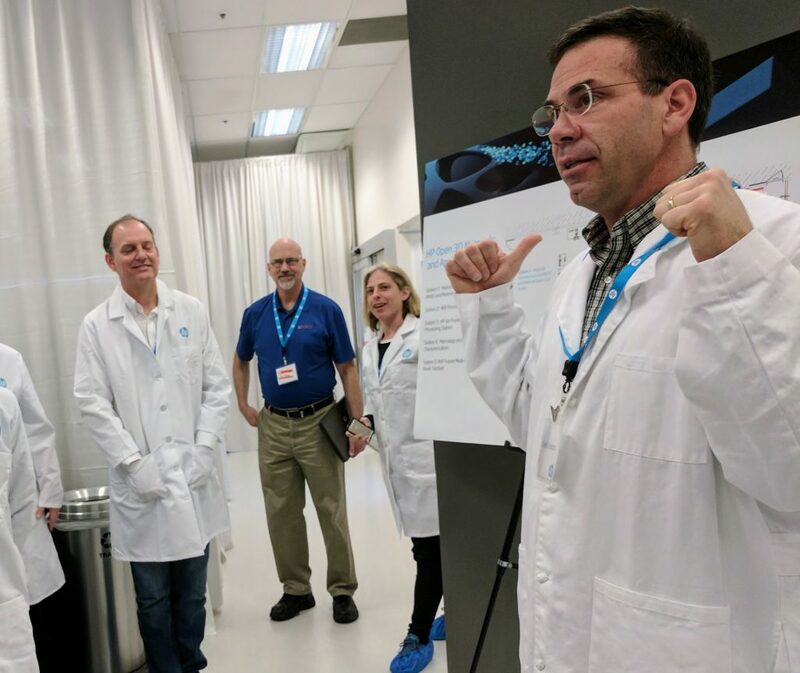 3D Printing Industry got a first look inside HP’s 3D printing lab earlier this year. Photo by Michael Petch. 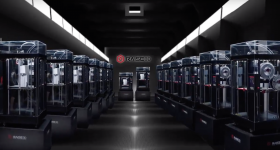 We are excited to bring the industry’s leading 3D printing technology, most robust partner community, and most innovative materials ecosystem to help this world-class manufacturing community accelerate their reinvention. Anchored by some of the most advanced companies in the world, the region’s diverse and dynamic collection of global brands, large contract manufacturers, and materials leaders is primed to play a significant role in this global industry transformation. Shares in HP Inc. (NYSE:HPQ) were trading at $17.75 for market close on Monday and the company most recently reported revenue of $12.4B for the quarter ended April 2017. Pricing on the Multi Jet Fusion range begins at $120,000 and rises to $145,000 for a 3D printing system. Before discounts, this values the Shining 3D commitment at somewhere between $6M – $7.2 million, by no means a material figure for HP Inc. However, rather than judging the deal on any short term fluctuation in share-price, of much greater importance will be how this entry into the Asia-Pacific market is received by users. 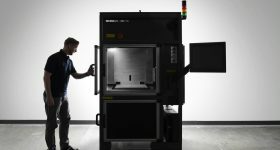 The Multi Jet Fusion 3D printer is about to be tested like never before, and with HP’s stated goal the disruption of manufacturing and even targeting injection molding where better to begin? Let us know your views on HP’s Multi Jet Fusion 3D printing system in the comments below. For all the latest 3D printing news subscribe to our free newsletter. If you want to join the conversation then follow the most popular social media accounts in the 3D printing industry. More on this topic3D printing the next 5 years by Christopher Gebarski CEO SMARTTECH Ltd.